Here's a question for you all. Can you come up with a list of America's most influential gardeners? Sounds easy doesn't it, or does it? The UK's Daily Telegraph put together a list of 'Britain's most influential gardeners'. Many of the names were iconic gardening gods that I remember whilst still living in England, but a good deal were new faces too. A reassuring sign that gardening in the UK is still as strong as ever. 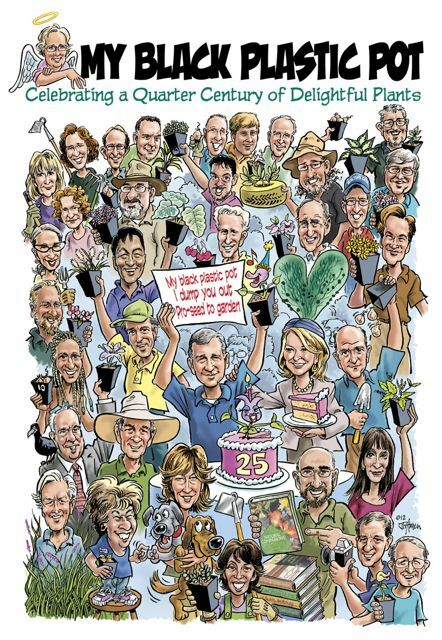 However, their list made me wonder who America's movers and shakers are in the gardening world? Who are the people that are selling gardening to the masses? To follow up on my last post; 'What happened to gardening? ', I thought it would be interesting to come up with a list of my own. As I soon discovered, it was a lot harder to come up with names, leaving me to assume that this may be part of the problem of why American's don't garden. Like the author of the Daily Telegraph's article, this list isn't a run down of America's gardeners. But instead, a list of people who impacts gardens across America through their work. Being titled the 'Most Influential Gardener' does necessarily mean the most popular, but can include mavericks who have changed the way of thinking. Of course television presenters will dominate any list even if we don't think of them as active gardens, but to be influential you must first be in a position of influence to begin with. The only criteria to being included on this list is that: (1.) they must be American and (2.) they must be alive. The godfather of all Tree and Shrub knowledge in America! 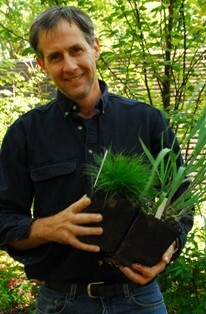 Professor of Horticulture at University of Georgia, he is America's voice on woody ornamentals for the garden. With a vast amount of scientific papers to his name, he authored or coauthored 7 books, including the weighty but valuable 'Manual of Woody Landscape Plants'. There's not a student of horticulture, past or present in this country, that doesn't own a copy of his manual. Other works of his include introductions into Viburnums and much loved Hydrangeas, valuable additions to any gardeners bookshelves. Writing aside, his breeding programs have released over 60 new and improved cultivars that can be found in many gardens today. Armitage is to annual and perennial plants as Dirr is to shrubs; a fountain of herbaceous knowledge! Again, many of his books are used as reference across the country, from keen gardeners to dedicated professionals. A profuse speaker around the country, he can also be found teaching also at the University of Georgia. Seemingly, the epicenter of American horticultural teaching! His legendary wide brimmed hat makes Armitage's presence known in either a book, a magazine, a TV show or a room full of people. Author of one of my favorite books, 'Bringing Nature Home', that changed the way I see the role of gardens as habitats. Maybe not a big name like others in this list, but his work is changing the way we view native plants and insects in the garden. I for one don't look at insects on my plants as a negative, but instead leave them alone for nature to deal with. 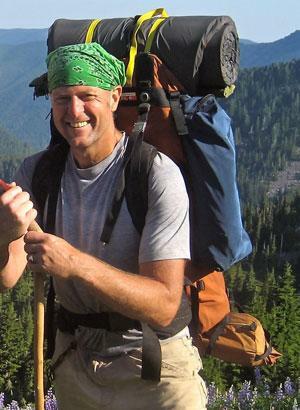 A regular featured talker at many seminars, he can be found working out of the University of Delaware as Professor of Entomology and Wildlife Ecology. 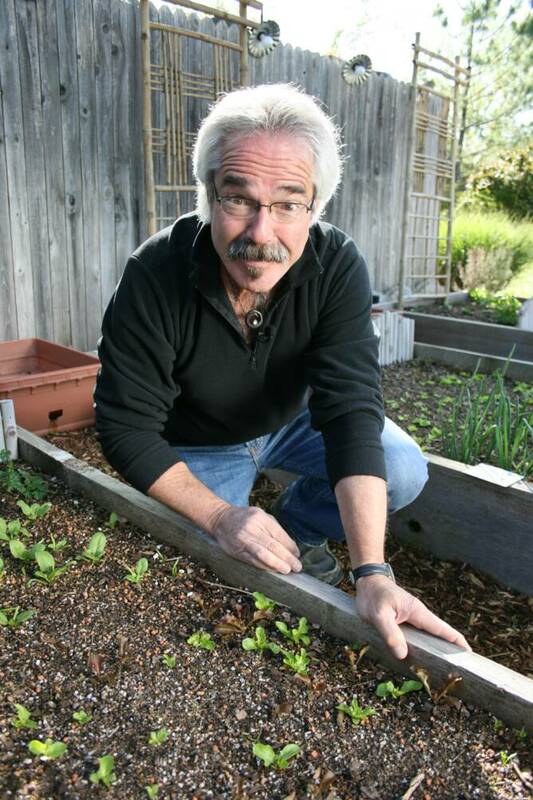 Anyone interested in growing native plants would have heard of Bill Cullina. His books are well written and beautifully presented, tempting the reader to include many of the (featured/selected) plants in their gardens. Previously the director of the New England Wild Flower Society he now heads the Coastal Maine Botanical Gardens. Recognized as an authority on North American plants, his knowledge is always in demand from garden clubs to professional groups to whom he frequently lectures. To say this man has gardening in his blood is an understatement. He is gardening! Owner of Plant Delights Nursery, a specialty mail order nursery, he is probably this countries leading plant hunter/collector. His love of plants lead him to create Juniper Level Botanic Gardens in Raleigh, North Carolina where he tests many new plants as well as educates on how to incorporate them in displays. Both the nursery and the gardens are located adjacent to each other. His annual catalogs are treasured by many gardeners who'll drool over the pages for endless hours dreaming of obtaining many of the gems he offers. His business is the modern day version of Veitch and Sons, making little known plants available to the plantaholics of the gardening world. Former owner and founder of Hersonswood Plant Nursery, Dan can now be found heading up new plant introductions for Monrovia Nurseries as well as establishing his own garden in Washington state. His old nursery catalogs are just as much sought out by gardeners for the same reasons as Tony Avents, for highlighting little known plants. Now his path has taken him to exploring the world for new or lesser known plants and writing about his adventures in several excellently presented books. To be honest, P Allen Smith isn't really my cup of tea when it comes down to television presenters but his huge fan base is proof that he appeals to many others. I often meet people who come into the garden center quoting from his books or talking about something they've seen on his TV shows. His level of influence has been noticed by many in the trade to the point where he headlines collections from Proven Winners to Berry Family Nurseries to name a few. I've been told that his clean appearance is an illusion just for TV, but instead he is just as down to earth and dirt covered as many other gardeners. One day I hope to see a photo of a sweaty, less groomed P Allen to prove this true. A victim of HGTV networks movement away from gardening shows, favoring makeovers instead. Paul may not of been the typical stuffy horticulturist but instead has a infectious jolly personality that made watching 'Gardening by the Yard' a joy. Though the show was geared mostly to the amateur it was entertaining and humorous which made many seasoned gardeners tune in each week to watch. He was probably the last nationwide network gardening host before 'Crashing' a persons yard became the norm! For any TV executives that might be reading this, Gardens are created over time, not thrown together in a 30 minute show. It's like basing a cooking show around 'popping it in the microwave for 5 minutes and your done!'. That's not how its done in the real world. Just like in the Daily Telegraph's article, a foreigner has made this list although just as an Honorary mention! I had originally written Durie off as another pretty face with a good tan muscular body and a womanizing accent but no real depth. Contrary to my personal belief, he is actually a very seasoned and dedicated gardener. In fact his reach goes as far as former Vice President Al Gore and the Dalai Lama working on various projects they champion. However, I can only provide an honorary mention because I haven't seen it published that he's an American citizen but in the end included him because of the influence he's had on gardening in America. Not that I'm trying to get an invite to the White House, but I'm free anytime you need me! Seriously though, Mrs. First Lady (not sure on the protocol of addressing) has done a lot to promote and highlight vegetable gardening through her book 'American Grown'. Although the book is not considered a 'how to grow your own', but instead, 'why don't you grow your own' book, her position has brought attention to the need to grow fresh vegetables to supplement our lacking diets. Its highly unlikely that you'll ever find Mrs. First Lady digging aged manure into the beds, although DC is known for its manure, she has raised the interest across the country. Martha's nomination to the list is similar to Michelle Obama's name appearing here too. Many of the people I spoke to about who to include were either very much for or very much against Martha being mentioned, but her contribution to gardening cannot be denied. 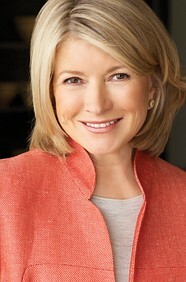 Martha is more likely to have gardeners working for her, than be out there pulling weeds. However, she is a home and garden guru and has her hands in many projects, some probably requiring clean finger nails, something a gardener has a hard time with. But, through her vast media empire she has inspired many to look at their gardens as an extension of their homes and to strive for better gardens. Her influence has also brought people like Dan Hinkley and Jamie Durie to the forefront of gardening, as featured personalities in both her magazines and TV shows. Being a great Landscape Architect doesn't necessarily make you a great gardener but in Van Sweden's case its quite the opposite. Van Sweden was once paired with a great plants-man, the late Wolfgang Oehme and together they created a design concept that became known as the 'New American Garden style', based on perennial plants found in the Prairies. (The two complemented each other perfectly, one brought design and the other plant knowledge to where they fed off each other and became one of the same). The fact that their trademark style has been reproduced by so many is testament to how game changing their work is. Considered the guru of perennial plant maintenance, her first book the 'Well-Tended Perennial Garden' is considered the handbook for aftercare and one of the best selling titles on the subject. Since that she came out with 'The Well Designed Mixed Garden', helping readers demystify plant combinations and arrangements; equally as stimulating. Her work has taken her around the world, talking in some of the world's most prestigious places like Kew Gardens, Oxford University and the Smithsonian to name just a few. No wonder her books are in the hands of customers looking for new perennials to try out. Who? I hear you say! Well, Mel's book is probably the most mentioned book by customers coming into the garden center. 'Square Foot Gardening' is all about planting small but intensely planted gardens and combines the concepts of organic gardening, composting and raised beds. It removed the need to do heavy digging while increasing production in a small area, making it appealing to home owners with small yards. With over 800,000 books sold, his books are the largest selling gardening books in America today, with no others coming close. Maybe that is why he's nearly #1 in any 'Top Gardening Books' surveys! Maybe the young up start should be classed as a honorable mention, but Woodman has stormed the scene in recent years to demand attention. No books to his name and lacking a prestigious educational position in any University, he's set to become the new face of the gardening revolution. His agenda is clearly to unplug today's generation from their plugged in lifestyle and to get them back to real, self gratifying work of dirt, sweat and muscle aching gardening. For that, he's one to watch! I think you'll agree its quite a list. However it still comes up short when you compare the Daily Telegraph's list which was of 30 of Britain's most influential gardeners, selected out of a list of about 100 contenders. Although we have some pretty heavy hitters in the world of garden talent we still come up short in terms of real movers and shakers. No one can disagree that gardening in North America needs a 'face lift' if we're ever going to get people interested in gardening. The fact that there isn't any quality gardening shows on TV is testament to that. You can probably name more celebrity chefs than gardeners, and so why they dominate the TV. We have to start promoting new voices as well as the people of today, so that gardening can appeal to a wider range of people. Its time to cultivate more than just plants, we need gardening heros! Do you agree, or have other nominations for the list? Please voice your comments and give your opinion. Likewise, if your a blogger and want the challenge of heralding your own list, send me a link and I'll be happy to display it. I don't know how famous or influential he is but I love pretty much everything I've seen Chip Callaway and his group do - really natural and lovely landscape design. He is featured mainly in southern women's magazines, Garden & Gun and Southern Living spring to mind. I also adore Michael Ableman. 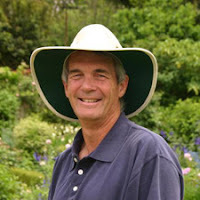 He is a farmer (urban) more than a landscape gardener and his books and blog are fascinating. I also have to give credit to Gere Gettle, he is doing great promotion of non-hybrid seed. I like the work that he is doing preserving heirloom OP seed. I think your store carried his Baker Creek seed one year but I haven't seen it since. His blog is good too. I'm not sure how prominent he is now but I think he will continue to become more so as his company expands. I adore P. Allen Smith. I love his show and his website is full of good advice. His fans seem to consist of mainly southern ladies and I am one of those, so I guess that explains it! Martha is definitely not my cup of tea. Jamie Durie also gets no love from me - I saw his show twice and was pretty outraged at how over the top some of his choices were AND he was spending that kind of $ on people who couldn't be bothered to do basic mowing prior to him showing up. Yuck. What a waste. Good suggestions. I don't know too much about Chip Callaway, but I did jump over to his website and liked what I saw. I'm always weary of including designers as their gardens look good going in but sometimes don't stand the test of time. However, Chip has put in 30+ years and lists over 1000 gardens created under his eyes. Gere Gettle should of made it on the list and next year I'll revise the list to include him. Anyone preserving heirloom seeds and keeping GMO's out will be important players as be begin to understand what has happened to our food crops. Although the list is short, it's a complete inventory of American garden influencers -- well done! Sara Stein is now on my wish list of books to buy. Winter is just to short a season to read all the books that I want to, but I always appreciate a good recommendation. I've been on Thomas Rainer blog a few times and enjoyed his writing. I need to add him to my blog list! Thanks for the suggestions. I agree with pretty much all that have been mentioned, including Sara Stein. I am glad you included Michelle Obama. I would like to add Rick Darke as an individual who has contributed both with books (he is one of my "written idols"), and as an environmentalist. If you have not heard him speak, you have to put that on a list of priorities. On the designer level you have to include Topher Delaney. 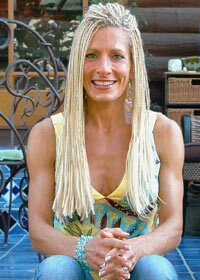 For just raw inspiration, she rocks! Anyone that has heard her speak would agree. A second recommendation for Sara Stein! Rick Darke is a new name and I like the fact he backs up his books with talks. In fact I see he's going to be in Annapolis Maryland on the 2nd of March (see his website), a road trip might be on the cards! Topher Delaney is a name I've heard of but know little about. Need to investigate her work a little more! As you know, I have no idea who I'd add to this list. P Allen Smith irritates me but I have Dirr's shrub book and The Well Tended Garden, although I've found her advice on when to cut back plants isn't always accurate, depending on what climate you're in. The farther south you are, the sooner they need to be whacked. I'm also glad you mentioned Michelle Obama. I'm happy to see some of the manure in DC put to a good use. What about Lauren Springer? Giving advise on taking care of plants is difficult considering the size of the country. Maybe that's why we don't have as books as the UK because of the diversity of different environments. I've had a brief chance to read a little on Lauren Springer, but shes coauthored with Scott Ogden. Would you then pair the two together? What I did find interesting is there's a lack of females who rise up, is that because males are used as lures for the middle aged females discussed in the previous post? Maybe a subject for your first garden club meeting? We need Paul James back! The world got Nelson Mandela freed, let now focus on getting PJ on again. Gere Gettle is the face of the free food movement, even if it's with the cannibal tomato! Post to come later this year. Thanks for the great list! I've got a fairly extensive gardening library but I must admit, a lot of these folks aren't in it. I better get reading. Please go easy on Landscape Architects though..:) Richard Arentz is a local LA who has a wonderful understanding of plants, uses mostly natives. Zeb and I got to tour his garden 2 years ago, what a treat. I don't mean to beat up on Architects, but I've heard learning about plants is low on the syllabus when attending college. I need to look up Richard Arentz, another name to add to the ever growing list. Thanks for the tip. My perspective is rather warped by my region I'm afraid, however I'd suggest Sean Hogan (Cistus Nursery owner, author, plant explorer, former director at the Berkeley Botanical Garden), Dan Heims (Terra Nova Nurseries, author, person most responsible for Heuchera fever), Panayoti Kelaidis (Senior Curator and Director of Denver Botanic Gardens Outreach, lecturer, plant explorer) and Flora Grubb. I agree on all three counts. Panayoti Kelaidis was on my first draft but got cut after I ran it past a few people and got blank stares from them. I think its a east coast/west coast thing! Sean Hogan is someone that Dan Hinkley has mentioned that he admires, but again he doesn't have a lot of followers on this side. Finally, Dan Heims Heuchera breeding has changed the landscape but just the Terra Nova label brings out the high class junkies look for a good fix. Next year I'll run a follow up and see if the three make the cut, this time I'll survey a larger group of people, east and west! Thanks for the response.